From his early exposure as an undergraduate research fellow at the lab of Leroy Hood at Caltech, where the automated DNA sequencer was developed, to bringing cutting edge life sciences tools to the market at Life Technologies Corp. (acquired by Thermo Fisher Scientific, Inc.), Ben has seen first-hand the transformative impact that science and technology have to change our world. Prior to Profusa, Ben served in a variety of leadership roles at Life Technologies Corp., including President of the Asia Pacific Region and Head of the qPCR Division. A former management consultant at McKinsey and Company, Ben earned his M.A. and Ph.D. in Biology from The Johns Hopkins University. Bill was the initial driving force to start Profusa. Together with Natalie, he built the company road map, enlisted top talent and secured seed funding. A co-inventor of Profusa’s biologically integrated sensor and optical reader, Bill is a biotech pioneer whose career has spanned more than three decades in the development of next-generation diagnostic and medical device technologies and products, the last 20 years as an entrepreneur. He was the co-founder and Senior Vice President of R&D at Cepheid, Inc. (NASDAQ: CPHD), a global leader in developing and commercializing easy-to-use molecular diagnostic products. Bill earned a B.S. in Chemistry an M.S. in Microbiology from San Jose State University, and later became a certified public health microbiologist before moving to the medical technology industry. Natalie conceived the technical approach behind Profusa. Together with Bill, she built the company road map, enlisted top talent and secured start-up funding. Natalie leads Profusa’s technology development efforts and the grants program, which has secured $10M of DARPA and NIH funds. Natalie is the co-inventor of Profusa’s tissue-integrating biosensor technology and optical reader. Winner of the NIH Transformative Research Award, she is a recognized leader in understanding the body’s reaction to foreign materials and the design of bioengineered sensors. In addition to her science career, she was a business consultant at McKinsey & Company and a consumer products developer at Kimberly-Clark. She has nearly two decades of regulatory, clinical and technical consulting experience in the medical device industry. Natalie earned a B.S. in Chemical Engineering from Purdue University, and a Ph.D. in Biomedical Engineering from Duke University in collaboration with the Karolinska Institute where she developed her passion for continuous monitoring of body chemistries. 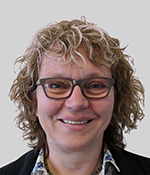 Kerstin is responsible for developing and executing Profusa’s Medical and Clinical strategies. Dr. Rebrin is a seasoned physician scientist with clinical and research experience in the field of diabetes and other metabolic diseases. She is known for her pioneering translational research toward an artificial pancreas introducing continuous glucose sensing and therapy algorithms based on glucose monitoring for various routes of insulin delivery. She is highly competent in end-to-end development of class II and III sensing and drug delivery devices and executing clinical development strategies for product registration and market introduction in various jurisdictions. Before joining Profusa, Dr. Rebrin led projects and teams in small and large medical device companies: Medtronic MiniMed, Abbott Diabetes Care, MicroChips, Becton Dickinson and Roche. Dr. Rebrin received her medical degrees and education from the 2nd Medical University “N.I. Pirogov”, Moscow, Russia, the Medical University of Lübeck, Germany and the Institute for Diabetes “Gerhardt Katsch”, Karlsburg Germany. She came to the United States for postdoctoral work at the University of Southern California. Hesham is responsible for driving partnerships, licensing, and M&A activities to accelerate the number of people who can benefit from Profusa’s technology. In his role, Hesham is tasked begin capturing the commercialization potential across all markets, including digital health applications across a spectrum of stakeholders. A global player, Hesham joins us with more than 15 years of experience in scaling healthcare products, programs and services across the world. 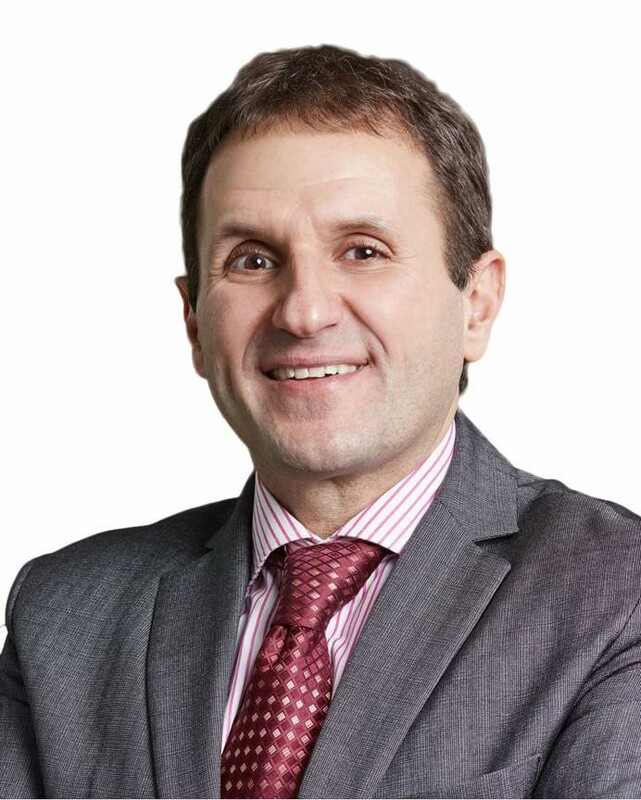 Prior to Profusa, Hesham was the VP of marketing for Cordis, a Cardinal Health company, and global head of marketing for ‘hospital-to-home’ at Philips where he launched four digital health programs that lowered cost and reduced hospital admissions through a combination of digital technology and human interaction. A 10-year GE veteran and GE president’s club winner, Hesham held multiple global leadership roles at GE Healthcare, including product management, marketing, operations and sales. 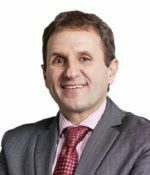 A former consultant at McKinsey and company, Hesham earned his PhD in cardiovascular fluid and tissue mechanics from MIT and completed a post-doc in interventional neuroradiology at Harvard Medical School. In his free time, Hesham manages the healthcare and life sciences track for the MIT club of Northern California, where he leads events, fundraising and alumni outreach for the 14,000 MIT alums, and their guests, in the Bay area who have a passion for healthcare and the life sciences. Managing Director and Head of Healthcare at VMS Group. Sean has 20 years of Government accounting and contracting experience, as well as extensive operations experience in consumer electronics, medical devices and drug development. Most recently, Sean was a co-founder and COO of MIODx, a company focused on immune repertoire profiling to predict patient response to immunotherapy regimens. At MIODx, he played a key role in acquiring the technology, aligning the partnerships and collaboration strategies, and raising venture capital to develop the company and technology. Prior to that, Sean was the VP of Government Operations and Controller for Cellerant Therapeutics. At Cellerant, Sean was responsible for running the accounting and finance operations, including the successful implementation of a compliant government accounting and EVMS program which helped to win a $180MM program from BARDA for the development of a medical. Soya leads Profusa’s creation of novel molecules for sensing glucose, oxygen, and other important biochemicals in the body. Previously, she served as Director of Sensor Development at GluMetrics where she led the R&D of a fluorescent continuous glucose sensor for ICU patients. She also brings to Profusa experience in rational drug design, having worked as a medicinal chemist at Geron Corp. Soya is an innovator with more than 20 peer-reviewed publications and over 15 patents. She holds a B.A. in Chemistry from Reed College and a Ph.D. in Organic Chemistry from UC Santa Cruz where her research focused on fluorescent glucose sensors. Dave is leading the architecture, development and commercialization of insight-driven solutions and partnerships enabled by continuous body chemistry data. 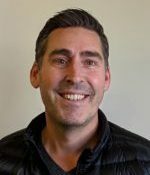 Before joining Profusa in October 2018, Dave lead the Digital Health Business Unit at Becton Dickinson (BD), where he built a team in Boston to focus on consumer-centric digital solutions outside the hospital, including chronic disease management. Dave brings strong leadership, a proven entrepreneurial track record and deep technology, partnering and digital health expertise to the this role. Prior to joining BD in 2016, Dave served as a consultant to multiple private and public companies (such as Qualcomm, Flex, Profusa, and Twine Health) to launch new initiatives in digital health. 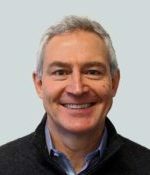 Until 2014, Dave served as the founding CEO of MC10 – a pioneer in patch-based biometric wearables for digital health, fitness, and medical devices. As CEO, Dave established the vision, secured financing and partnerships (with firms such as Reebok, Medtronic, and Walgreens), built the organization and led execution of their strategy. Previously, Dave served in roles of increasing responsibility in both Silicon Valley and Boston, including running P&Ls of $50 to $500M at Teradyne, and helping grow KLA-Tencor’s wafer inspection business from $30M to $700M over an eight-year period. Dave began his professional career at Cypress Semiconductor as a process development engineer. Dave has a B.S. in Chemical Engineering from Stanford University, and an M.B.A from Harvard Business School. Bruce joined Profusa in 2011 as Director of Operations making him one of the first five full-time employees. He works behind the scenes making sure that everything is up and running. He provides invaluable support to everyone in the company, from social event coordinator to IT, as well as administrative support and direction in Financing, Facilities, Government Grants, Human Resources, Contracts, Legal and non-FDA related Regulations. He is passionate about troubleshooting and searching for solutions that help Profusa run efficiently in as many ways as possible and he thrives in managing chaos. Prior to joining Profusa, Bruce was Managing Director for MarketXT Inc., a National Mortgage Broker, and Vice President for Instinet Corporation, an Equity trading firm in New York. He holds a BA in Political Science from Long Island University with an emphasis in international relations. Joan Braddi, Vice President of Product Partnerships at Google, Inc.
Joan Braddi leads Google’s Global Product Partnerships team. She is responsible for building and managing the content and distribution partnerships that get Google’s products into the hands of users all around the world. A Googler for 15+ years, Joan has spent her career in the business organization previously working on all Search Services for Google as well as Global Partnerships that span across the company. William Frist, M.D., Former U.S. Senate Majority Leader, Healthcare Advocate, Partner & Chairman, Executive Council, Cressey & Co. Senator Bill Frist is a partner and chairman of the executive council of the health services private equity firm of Cressey & Co. He serves on the boards of the Robert Wood Foundation and Kaiser Family Foundation, among others. Additionally, he serves on the boards of AECOM, Select Medical Corp., and Teladoc. The former U.S. Senate Majority Leader, he represented Tennessee in the U.S. Senate for 12 years, where he served on both the Finance and HELP committees, and he was instrumental in the passage of the 2003 Medicare Modernization Act. Dr. Frist is a nationally recognized heart and lung transplant surgeon with more than 20 years of practice in clinical medicine. He founded and directed the Vanderbilt Multi-Organ Transplant Center, where he performed over 150 heart and lung transplants. He also co-founded Aspire Health, the country’s largest non-hospice, community-based palliative care organization. Tom Gutshall, Co-founder of Cepheid, Inc.
Mr. Gutshall is co-founder of Cepheid, Inc. (NASDAQ: CPHD) and served as its first CEO, and as Chairman of the Board from August 1996 to February 2013. He was formerly President and COO of CV Therapeutics in Palo Alto. Prior to joining CV Therapeutics in 1995, he was Executive Vice President at Syntex Corporation and a member of the Pharmaceutical Executive Committee. His responsibilities included Syva Company, Syntex Agribusiness, Pharmaceutical and Chemical Operations and Services, Syntex Pharmaceutical Intl. Ltd., and Environmental Health and Safety. Mr. Gutshall also serves as a Director of Silver Bullet Therapeutics and Profusa. Dr. Karen Liu is a founding partner of 3E Bioventures Capital, a venture capital firm that focuses on venture investments in the healthcare related sectors such as device, diagnostics, drugs (new and generic), mobile health and medical services. Dr. Karen Liu has been active in China healthcare venture investment since 2006. Her past investments include device companies such as Reach Surgical, Sinomed, diagnostic companies such as Biochain, Micropoint, BGI, drug related companies such as Chiral Quest, Shenogen and mobile health company such as Apricot Forest. Prior to 3E Bioventures, Karen was a partner at Kaiwu Capital in charge of healthcare investment from 2011-2015 and before that, was Managing Director at CRCI Capital from 2007-2011, also in charge of healthcare investment. In 2006, Karen co-founded Shenogen Pharma, a company developing innovative liver cancer therapeutics, and was its first angle investor. From 2000-2004, she was an entrepreneur and senior team member of 3721, an Internet search company founded by Internet veteran Hongyi Zhou. She helped build up the small internet company and achieved profitability and eventually sold it to Yahoo in early 2004. Karen Liu also worked as a consultant at McKinsey & Company from 1998-2000. Dr. Karen Liu received her Ph.D in Immunology from Harvard University, Master of Medical Sciences degree from Harvard Medical School, and Bachelor Sciences degree from Cornell University. She also received a EMBA degree from CKGSB – Chungkong Graduate School of Business in China.